LTE’s large capacity Swallow incubators offer precise control and are designed to meet the ever increasing demands of the modern laboratory and process facility. Using the latest in microprocessor technology these products are simple to operate and are controlled by means of a microprocessor system, offering precise temperature control, fast heat-up times and almost undetectable overshoot. Process and delayed start timers are programmable from 1 minute to 99 hours 59 minutes. 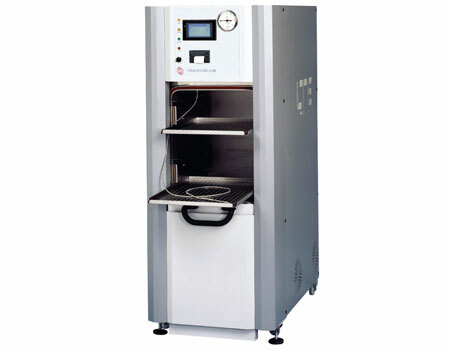 Up to to 3 time/temperature profiles can be programmed within one cycle. Please tick this box if you are happy to receive future communications from LTE. Need your existing product servicing? We support a wide variety of non-LTE products too, so why not get in touch to see if we could help out. Keep up to date with LTE ___ Sign up to our newsletter to receive news, product offers and stock updates. I need help choosing the right autoclave. How often does a pressure vessel need inspecting? How do I keep my autoclave in the best operational condition? What quality of water should I use in my Autoclave? If my autoclave load needs to be dry at the end of the cycle, what do I need to do? What does air ballast do to improve a fluid cycle? Does my autoclave need servicing during its warranty period? Can LTE service other makes of autoclave or other types of equipment? Copyright LTE Scientific Ltd, 2019. All rights reserved. Company Registration No. 2648370 (England).